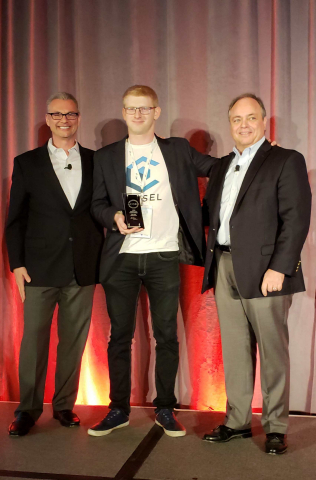 TORONTO--(BUSINESS WIRE)--Chisel AI, an AI-based solution provider for the global insurance industry, today announced it has won the 2018 ACORD InsurTech Innovation Challenge (AIIC) in the Early Stage category. Chisel AI’s solution beat out stiff competition due to its groundbreaking approach to solving a key component of the big data challenge for the information-dense insurance industry. Not only can the solution extract important information from submissions, quotes, binders, and policies 400 times more quickly than humans, but it also accomplishes this with incredible accuracy. Chisel AI continues its path of accelerated growth due to the demonstrable value its solution brings to insurance organizations around the world. Winning the ACORD InsurTech Innovation Challenge Award highlights the relevance of its offering for companies in need of an innovative approach to managing and extracting high-value information and enhancing their customer service levels. ACORD recognizes Chisel AI’s powerful platform by crowning it the winner among early stage companies in its 2018 InsurTech Innovation Challenge.